Shaw Daily is soul searching. In her late thirties, she’s a successful, jet-setting marketing guru, who finds herself questioning her job and her life. While on a business trip to Tokyo, a new clarity forms and she announces she’s going home before her business meeting is completed. However, home is not in San Francisco, where she currently resides: it’s Cooper’s Creek, where she spent delightful summers with her grandparents. Kate Elkins has left her job as a first-grade teacher to move back to her mother’s house now that her ailing mom can’t be left alone for long periods of time. It’s a difficult time for Kate, but her sense of responsibility is strong. She’s supported by her sister, Miriam, but Miriam has a family of her own and single Kate is the most convenient person to take care of their mother. Kate, however, has no idea that she’s on a trajectory to meet up with a woman who was Kate’s older sister’s friend—the friend a much younger Kate had a crush on long ago—Shaw Daily. 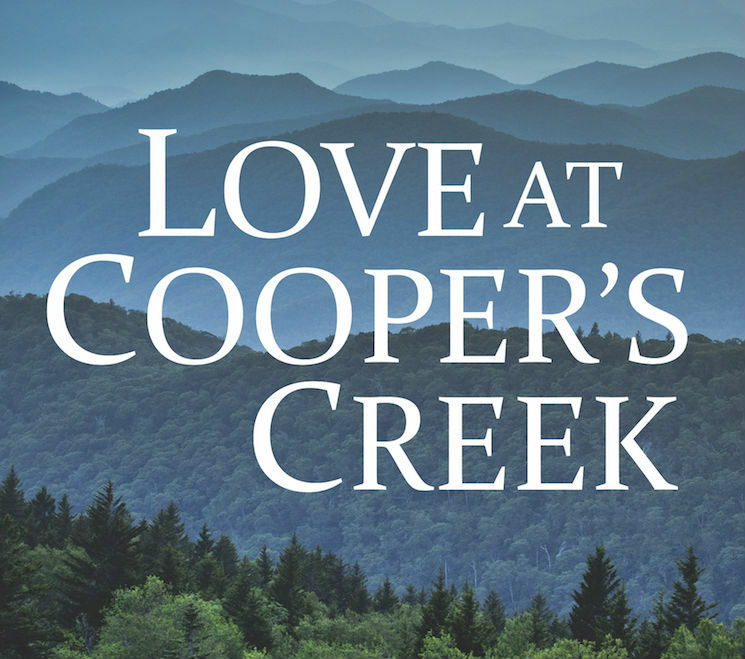 As Love at Cooper’s Creek unfolds, Shaw is thrust headlong into a family history she has no knowledge of and with which she must now come to grips. It may help her on her road to personal discovery, but first she must figure out what it means for her own life and the less-than-close relationship she’s had with her own now-deceased mother. Meanwhile, Shaw and Kate wrestle with their feelings for one another and try to figure out how to deal with their new personal realities. Vaun’s descriptions are always appealing, containing a beauty evoking strong emotional responses. A particularly poignant sentence from chapter five reads: “The air inside smelled of old wood and forgotten things.” The author also uses sounds like tree frogs, cicadas, and the distant call of an owl to bring scenes alive. Cooper’s Creek is set in a rural location, which Vaun writes so well in her historical novels. She continues to do so in this contemporary story. The threatening creek is always in the background, a symbol of the undercurrent of uneasiness running through Shaw and Kate’s lives. The bridge Shaw later commissions across the creek serves as a metaphor for the potential link she could construct to a new life for herself and a way across the divide to a lasting relationship with Kate. The use of two characters’ points of view sometimes becomes distracting. This story is really Shaw’s to tell and it would have been a much stronger tale if it had been told exclusively from her perspective. Still, Shaw and Kate are compelling characters, drawn together like rare-earth magnets. Eventually, the sensual scenes sizzle with phrases like “spider-webbed” feelings, imparting an emotion that leaves no doubt about the experiences of the characters. Supporting roles in the story are well written and assist in telling the tale. Jimmy Ludlow, who takes care of Shaw’s property in her absence, is a worthy foil for the ever-ruminating Shaw. Their delightful banter portrays their camaraderie and makes Shaw more endearing. Local Addie Miller at first seems the quintessential curmudgeon, out to thwart Shaw in her quest for answers, but in the end, the two women find common ground on which to declare a truce, and Addie proves to be much more than she appears on the surface. Love at Cooper’s Creek, and the journey Shaw and Kate must make, is classic Missouri Vaun. A contemporary tale told with all the charm of her previous historical works, it’s an engaging tale with just the right mix of tension, pleasure and variety of interactions to delight the reader.